Choose Sixt at Bristol Airport for a convenient, stress-free car rental experience. Finding us is easy: follow the signs for car rental outside the terminal building and you will find our office within the Premier Parking Area. With our friendly representatives ready to help, you will be on your way within moments. If you are in town for a special occasion or looking to make your visit that bit more memorable, why not choose from our selection of sports cars and convertibles. Alongside our great value car hire at Bristol airport, you can add-on a variety of extras to make your drive that bit easier. Request child car seats to be fitted in your vehicle upon collection or rent one of our modern Sat Nav systems to make exploring Bristol and its surrounding areas easy. We also offer a range of attractive insurance options to ensure your journey is stress-free: opt from comprehensive roadside protection packages and damage waivers, as well as cover for drivers under 25s. From this fantastic point on the border of Gloucestershire and Somerset you are able to explore Englands stunning countryside with utmost convenience. Perfectly situated for a drive into the South West or South Wales, cities such as Bath and Newport are on your doorstep from the airport. Looking east you have the rich history of the Cotswolds, while if you head south you can be at the Jurassic Coast of Dorset and the 300 miles of Cornish coastline within two hours. By avoiding the over-crowded London airports and the congested roads that surround them you can be at your destination in a fraction of the time and with far less stress. Located in Lulsgate Bottom, Bristol Airport (BRS) is just 8 miles south of the city of Bristol. The journey into Bristol city centre should take no more than 25 minutes and is simple to navigate by following the A38. Blessed with picturesque countryside and a vibrant city-life, Bristol and its surrounding areas are packed full of things to do and allow for you to spend anything from an afternoon to several weeks exploring all that it has to offer. Bristol is renowned for being an independent-spirited city, which celebrates local culture, art and music. As such, there is no shortage of local galleries and gig venues for you to soak up the atmosphere and witness some local talent. 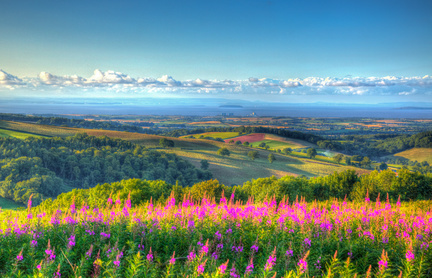 When you have a car rental from Bristol airport, you will have the freedom to see even more of this incredible region. Drive out to the Clifton Suspension Bridge, Brunel's most famous creation, and enjoy the stunning views from its giddy height. Trade was historically fundamental to the citys economy and heading to Bristol harbour for a stroll is a great way to get a feel of the importance of the many waterways running through the city. There are also various boat ride options available. Just 55 miles away is Avebury; the site of the largest Neolithic stone circle in Europe. Take the drive over and wonder at this ancient site, which has stood for over 4500 years. You will receive your rental car at the Sixt branch. Proceed out of the car rental hall, across the road, and turn right down the ramp, please follow the signs to the car rental centre. The Sixt branch is located next to the car rental centre for key pick up. You will receive your rental car at the Sixt branch. Leave the M5 at junction 18 (signposted A4 Bristol & Airport). Take the A4 towards Bristol following signs for the Airport. Go past Bristol City football ground and connect with the A38 towards Taunton, the Airport is situated 8 miles south of Bristol on the A38. At the airport roundabout take the 3rd exit. Then please follow the signs for Car Rental. The Sixt branch is situated inside the Car Rental parking area, just on the right side. You will receive your rental car at the Sixt branch. Leave the M5 at Junction 22, at roundabout take 3rd exit signposted A38. At East Brent roundabout joining the A370 take 2nd exit signposted A38 & Airport. Continue on this road for approx 11 miles, Airport is on the left. At the airport roundabout take the 1st exit. Please follow the signs for Car Rental. The Sixt branch is situated inside the Car Rental parking area, just on the right side. You will receive your rental car at the Sixt branch. At Junction 20, join the M5 southbound. Exit the M5 at junction 18 (signposted A4 Bristol & Airport). Take the A4 towards Bristol following signs for the Airport. Go past Bristol City football ground and connect with the A38 towards Taunton, the Airport is situated 8 miles south of Bristol on the A38. At the airport roundabout take the 3rd exit Airport. Please follow the signs for Car Rental. The Sixt branch is situated inside the Car Rental parking area, just on the right side. The Sixt orange key box is located behind the Sixt cabin in bay 1.